For those of you unfamiliar with falafel, it’s a Middle-Eastern snack made predominantly from chickpeas. 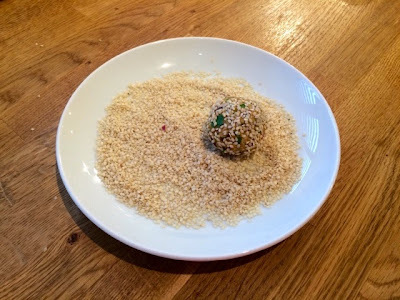 Think of it as sort of a vegetarian meatball. Loaded with herbs and spices its a bit of a taste sensation popular with many a meat lover as well as vegetarians. 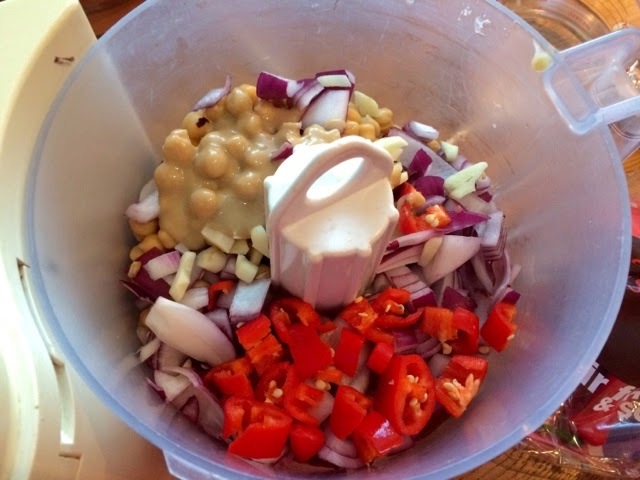 There are so many different variations of this tasty treat it’s had to pin it down to just one recipe to give you. In my research I came across so many different ways of doing them. I’ll be honest, this was not my first attempt at making these. In attempt number one I tried to shallow fry the little balls in order to get a nice golden crust, this failed miserably however as they just completely disintegrated in the pan. 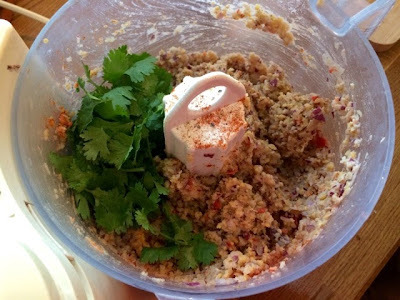 Second time round I chose to bake my falafel which, not only worked much better but, has the added bonus of being healthier. Plenty of people seem to get on fine frying them so I’m not quite sure why it went so badly for me, although I think it could be due to the looser, not so dense consistency of my mixture. I’ve loved falafel since I was a kid, but they really seem to have gotten popular recently. 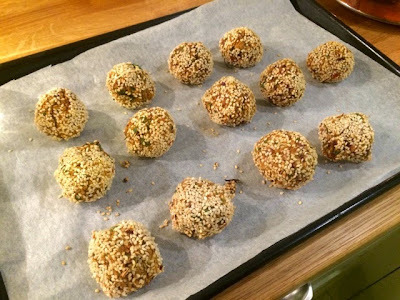 With the increasing demand for healthy ‘clean’ food falafel is the ideal vegan/vegetarian snack. You’d be hard pushed to find a street food market without a falafel stall these days. 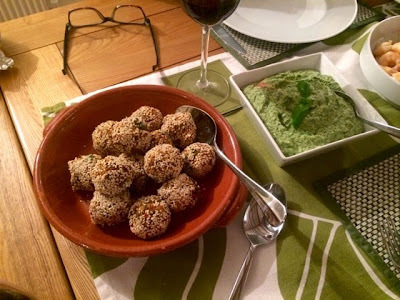 Falafel are great as part of a mezze/tapas style meal, or on their own with a dip (tzatziki, aubergine & feta dip or spinach houmous would all work really well) as a starter. 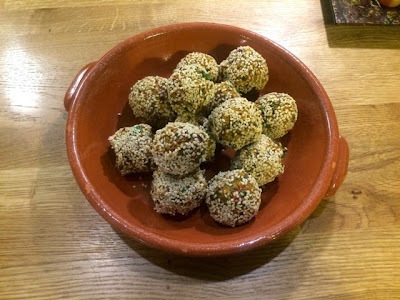 Falafel also make great lunchbox or picnic snacks as they’re easily transportable and taste great both hot and cold. 2. In a food processor blitz up the chick peas, tahini paste, red onion, chilli and garlic until a grainy paste is formed. 3. Add the coriander, spices, season well with salt and pepper and blitz up again. 4. Scoop a ping-pong ball sized amount out of your mixture and use your hands to roll into a ball. 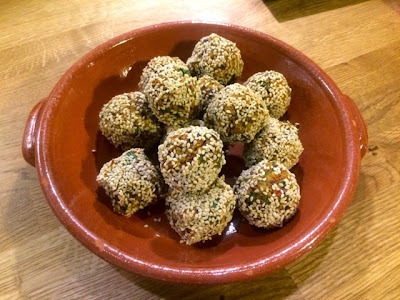 Scatter the sesame seeds in a shallow dish and roll the ball in it until coated. 5. 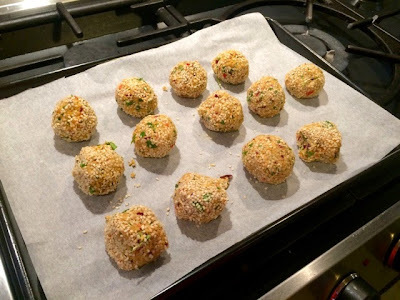 Evenly spread the falafel on a baking sheet covered with greaseproof paper. Bake for 30 minutes until golden. 6. Remove from the oven and serve as part of a mezze selection with dips and other snacks.